It’s time to go ahead and tidy 2015 and my fluxing reading ADHD on up. So what I want to do is a rundown of the final six books I’ve read this year–unless I can squeeze in one more. (Another Rita Mae Brown Mrs. Murphy mystery is looking mighty good right about now.) Some of these books I’d like to dedicate an entire post toward. And they really, really deserve one. But this will have to do, as there are more books and posts ahead for 2016. So let’s get started. Let me share with you the six books I’ve unofficially wrapped the year with. Calling from the highest mountain to the deepest sea, this books deserves a full post. I finished it mid-November where it immediately fell into my favorite reads list of the year. 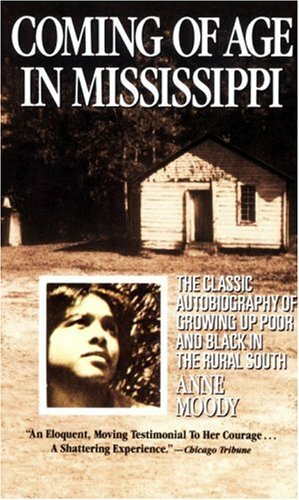 Published in 1968, it's an autobiography of the author's experience growing up in rural Mississippi. As well as how her childhood turned her into a prolific Civil Rights activist. To elaborate, Anne Moody came from tenant farmers on a Mississippi plantation. Not one to find comfort in her upbringing, she had unconventional expectations for herself. Many of which she expressed to the point of becoming problematic to others. Still, she had enough drive for better for her family and the African-American community. And she would see the drive realized. The first half of the book chronicles Moody's growing ambition for change. She takes readers on her journey through her humorous and desperate childhood. Then moves into her high school years and college life, where you get her relatable life events. I found this half of the book builds the identity of Moody, molding her leader and activist nature. Though I found her just a touch self-absorbed underneath some subjects of conversation. Particularly her academic comparisons with other students. Nonetheless, her childhood and young adult journey provides the foundation for the remaining half of the book. Because the second half showcases Moody's immense contribution to organizations such as NAACP and CORE. 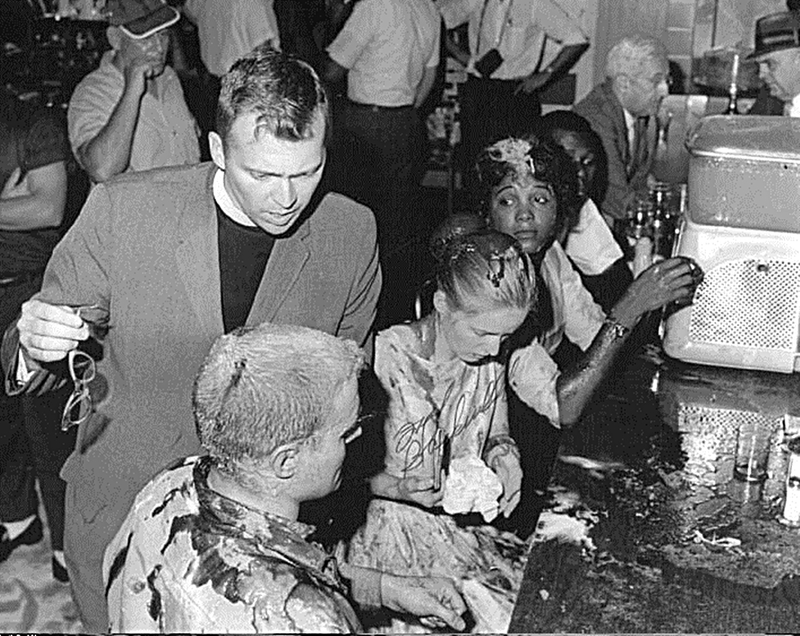 woman (and others) behind this sit-in. My mouth dropped. And it's interesting because the second half's direction was almost unforeseen to me. The book switched focus, with nuggets of Moody's personal life sprinkled between her activism. When I picked up the book, I had no prior knowledge of how prolific the author actually was. I would even wager to cry "blindsided." But moved by the intimate story behind her voice. It’s so easy to recognize Civil Rights leaders such as Malcom X and Martin Luther King. So how often do we recognize those who took action in smaller (though no less powerful) integral efforts? Moody withstood protests, sit-ins and death threats. She rallied for Mississippi residents to vote and start political change. Even as an entire community appeared petrified of retaliation from empowered white leaders circling their community. She questioned her resolve a number of times–to the point of collapsing. Yet, she kept going. Book two in Harris’s Midnight, Texas Trilogy. I started on its May release, but didn’t actually complete it until November. Why? Because I was so bored with it. Or I couldn’t snap into engagement mode all the way. When I made the decision to dedicate myself to Day Shift, I enjoyed it enough to breeze right through happily. Now I can’t say it was all that exciting by its end, and I can’t say it was all that uninteresting. God. I’m really up and down about this one. 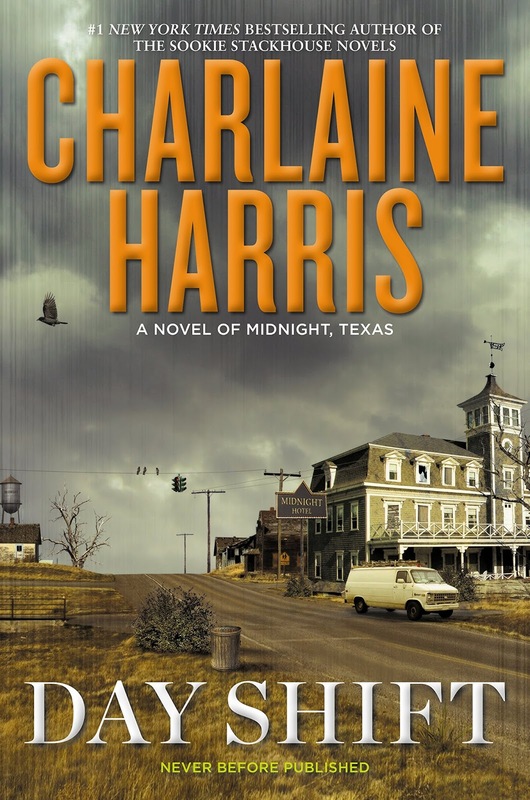 Anyway, what I will say is I’m still a fan of Harris’s work and do look forward to the final book in the Midnight, Texas Trilogy. I wish I had more to share. Yet, I think that five-and-a-half-month break kind of took whatever glory or upset I have. I just can’t pick the book apart. I’ll make up for it when the third book comes next May. In the meantime, maybe its Goodreads page can serve you some interest. Sorry, guys. I have nothing. But take this one thought with you: An eccentric cast of characters with secrets and murder on the mind. Okay. We know I live and breathe for Buffy. TV show. Comics. TV tie-in books. I’m there for it all. Eighteen years (where the HELL did time go?) and counting. Sadly, I wasn’t there for this book. It’s another book that took me five and a half months to complete. Sad, sad days. What made me pick up this book in particular had a lot to do with Buffy facing a vampire who once was a slayer named Celina. I’ve always, always wanted to ride into that avenue of discussion. What would the vamp-slayer be like? How would Buffy take her on? Now I like the character of Anya all right. I really do. We're alike in more ways than one. But as it concerns this book–which dropped loads of angst of her pondering death versus immortality–I just couldn't Anya anymore. Adjacently, I just didn’t care for Buffy's struggles after awhile. I laugh at the thought, but seriously found myself gurgling along with this one. I will say Buffy’s final confrontation with Celina made up for much of my disinterest. During their heated battle, I was living for the barbs and shared introspection. While trading blows, the two squared with what it took to be a slayer/hero versus the darker colors of a predator. I’ve recognized this in the past but, having spent time shifting through these tie-ins, I only enjoy the Buffy-centered books. The books where her slayerness–in some form or fashion–is addressed in a new, challenging way. Those books that really look into what it means to be a slayer, through Buffy. This book served, but it was that damn Anya storyline (no hate or shade to her) that irritated the whole experience. All right my friends! Stay tuned for the second half where I share the last (unofficial) three books I've tied the year over with. What were the six or so books you left 2015 with? Leave all your comments below!